Xiaomi’s much talked about, Xiaomi’s Mi VR headset has now been officially announced in China. Xiaomi has released the beta reservation of its first Xiaomi Mi VR headset, and it starts at 1 Yuan once the beta tester is chosen. Xiaomi VR headset comes with a two-way zipper design along with twofold front opening for easy smartphone adjustment. This headset is most compatible with the devices having display size ranging from 4.7-inch and 5.7-inch. It also features Lycra fabric which the company claims is skin-friendly and doesn’t cause any uneasiness. Allegedly the Xiaomi Mi VR headset was supposed to release with Google’s Daydream compatibility, although it looks like Xiaomi has introduced a standard headset in its place. Xiaomi Mi VR headset dimensions are 201 mm in length, 91 mm in depth and 107 mm in height. And the headset weighs 208.7 grams. Until now no Xiaomi’s smartphones support this VR headset, but reports have it that the company will soon announce one. Mi VR headset employs with Mi VR accompanying apps along with 3D movies, 2D movies or game applications. Mi VR app is an open stage and already includes content from the publishers such as CondeNast. The Mi VR app acquires its content from its home platforms like QIY and Youku. 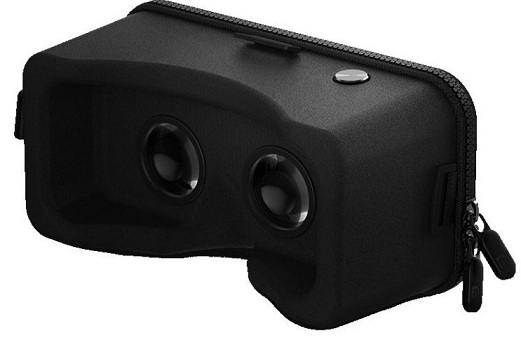 The company has been talking about its VR headset for a relatively long time. Finally, Xiaomi has managed to come up with a device that could be available to many Xiaomi phone users. The company seems to be expanding its range of creation in China, and only a few months back it launched its Mi Notebook Air as a challenger to the Apple MacBook Air. The company has also released a latest Xiaomi Redmi Pro which features OLED display, which is a new feature for their smartphones. Along with that, the company has also released a Mi Pen, Air Purifier, Water Purifier and an electric cycle as well.